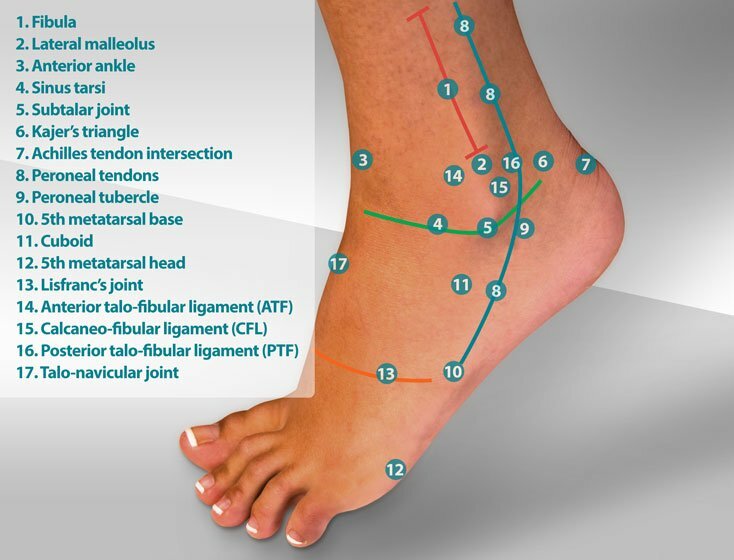 Hallux rigidus is the term used to describe end-stage limited range of motion of the great toe joint. Hallux rigidus is the final stage (stage 4) of hallux limitus. Hallux limitus is a progressive degenerative change in the 1st mpj. 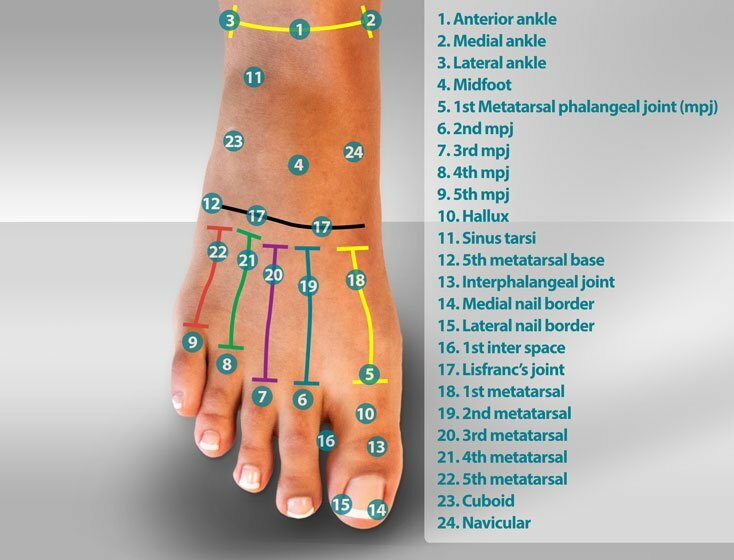 Hallux rigidus is found equally in men and women with an onset between the ages of 20 and 60 years. 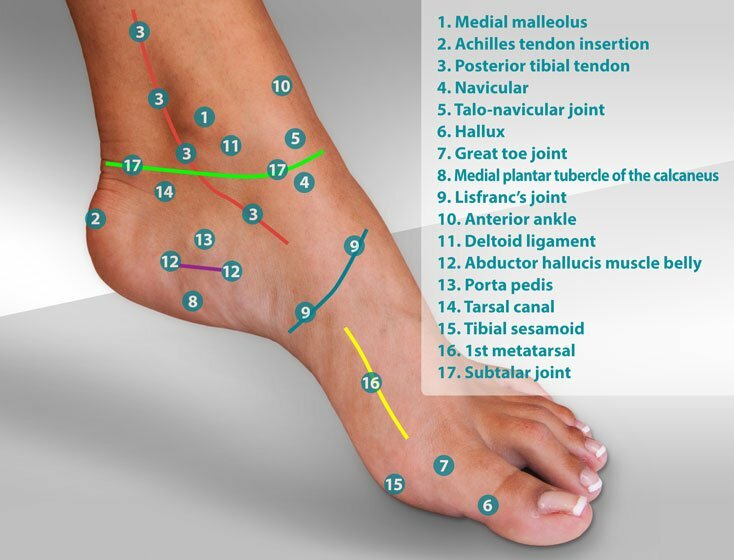 Please visit our pages on hallux limitus for more information on hallux rigidus. Last Update: December 7, 2018. The Turf Toe Plate - Carbon Graphite - Flat is thin enough to fit into most shoes and stiff enough to limit the range of motion of the great toe joint. This rigid orthotic insert treats turf toe, hallux limitus, and hallux rigidus. Two sizes. Universal right/left. By Myfootshop.com. 1/pkg. Carbon Graphite Turf Toe Plates - Molded provide arch support while limiting the range of motion of the great toe joint. Used in the treatment of turf toe, hallux limitus, and hallux rigidus. See sizing information below. Sold individually, left or right, not as a pair. By Myfootshop.com. Stronger than steel and light as a feather, the Carbon Fiber Spring Plate - Graphite Insole stiffens existing shoe insoles, limiting range-of-motion in the forefoot and mid-foot, while treating many foot conditions including forefoot pain, metatarsal fractures, and arthritis. See sizing information below. Sold individually right or left, not as a pair. By Myfootshop.com. 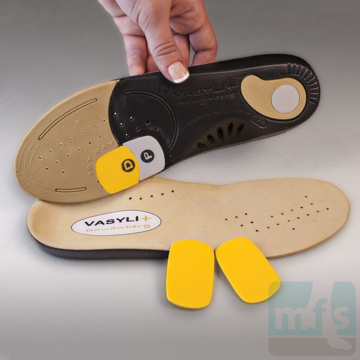 The VHD - Vasyli Howard Dananberg Insole - is the only over-the-counter orthotic insert that allows completely adjustable treatment of hallux limitus by placing removable wedges under the great toe joint. Latex free. 1 pair/pkg. Hallux Trainer Sport Insoles are the shoe insert for sore big toes. A semi-rigid Morton's extension is built into the fully-padded, finished insole, limiting the range of motion of the great toe and relieving pain in the great toe joint. See sizing information below. By Myfootshop.com. 1 pair/pkg. The Turf Toe T-Strap is an adhesive-backed, soft moleskin bandage splint used for temporary taping and treatment of turf toe, hallux limitus, and big toe joint pain. Universal right/left. One size. By Myfootshop.com. 5/pkg.